Tucson AZ is surrounded by the Sonora Desert. This desert area is considered to be the most biologically diverse in North America. The Sonora Desert landscape is home to some fascinating Tucson Arizona wildlife. Tucson is placed in the migratory path between Canada and Mexico. This location makes Tucson and the surrounding ares one of the best bird watching locations in the Unites States. More than 500 bird species have been observed here at different altitudes throughout the year. Hummingbirds are especially plentiful. In a solitary day, over 150 species have been seen during their spring and fall migrations. Tucson Arizona wildlife includes butterflies. Southern Arizona is also the single best region of the state to find butterflies. The diverse habitats hold the opportunity to see over 330 species of butterflies. The Arizona tree frog is one of only two frog species found in Arizona. The other frog species found in Arizona is the canyon tree frog. Arizona tree frogs are only 3/4 inch to 2 inches long. The Arizona tree frog was elected as the state’s official amphibian in 1896. Although the cactus wren is Arizona’s official State bird, it can also be found in southern California, southern Nevada, western Texas, southwest Utah, and north-central Mexico. They typically build their nest in cholla cactus. The spines of the cholla cactus provide protection. Other nesting location include palo verde trees, acacias, saguaros cactus or the hanging pot in your backyard. 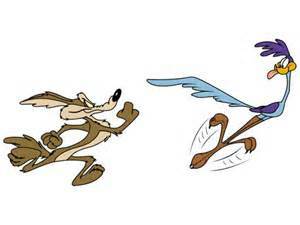 The roadrunner is a bird, but doesn’t fly. It is a large, black-and-white, mottled ground bird with a distinctive head crest. It has strong feet, a long white-tipped tail and an over sized bill. It ranges in length from 20 to 24 inches from the tip of its tail to the end of its beak. Most will remember the “beep, beep” sound made famous in Looney Tones cartoons. While they really don’t make that sound, they are frequently spotted in open areas throughout Tucson, Arizona. They can actually run at speeds of up to 17 mph when they sense danger. Tucson Arizona wildlife also includes thirteen species of rattlesnakes. Arizona has more species of rattlesnake than any other state. The ridge-nosed rattlesnake which is the state reptile is perhaps the most beautiful of them all and made the official state reptile of Arizona in 1986. If you see one, pretend you are a road runner and “beep, beep”, get out to there! Coyotes are not unique to Tucson Arizona wildlife, but very prominent. Coyotes can be found from Canada to Panama. Coyotes are part of the history, folklore, and present-day culture of the American West. Coyotes are usually smaller than wolves and larger than most dogs. Most of Arizona’s coyotes sport the telltale yellow desert coats. A mature coyote will weigh in at about fifty pounds and as tall as forty inches. If you have pets, it is best to not let them alone outside. Coyotes will have no trouble finding and attaching them. Javelina evolved in South America and only recently arriving in Arizona. An adult javelina will weigh 35 to 60 lbs. Javelina eat flowers, fruits, nuts, berries, bulbs, and most succulent plants. They are not afraid to come right up to your front door and eat your fresh flowers or plants. Needless to say, the list of Tucson Arizona wildlife is endless. A great way to learn more about wildlife of the Sonora Desert is to visit the Arizona Sonora Desert Museum. This top attraction in Tucson give you a opportunity to see Arizona wildlife in their natural habitat. Considering moving to Tucson AZ or interested in finding a place to escape those nasty winters where you live now? We can help.